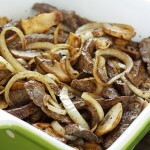 Beef Delight is a slow cooker recipe with onions, garlic and beer. Coat beef cubes with the ½ cup flour. Brown in melted butter. Drain off excess fat. 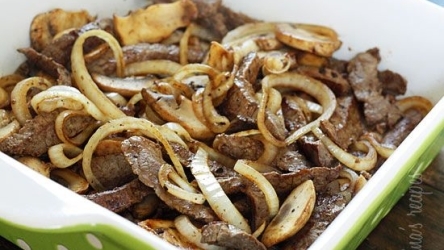 In crock pot, combine browned meat with onion, salt, pepper, garlic and beer. Cover and cook on low 5-7 hours (all day) until meat is tender. Turn control to high. Dissolve remaining ¼ cup flour in small amount of water. Stir into meat mixture, cook on high 30-40 minutes. Serve with rice and salad.